Leading Chinese online streaming platform Youku have revealed new additions to their range of content, all of which come from overseas by virtue of well-known Dutch production and distribution company Endemol. The latter of the pair, who recently revealed their intentions of moving further into the business of online content distribution as their own brand, nevertheless sold rights to stream British shows Peaky Blinders and Black Mirror (second season) and Canadian format Continuum (first two seasons). 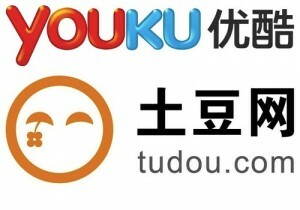 The video-on-demand rights being sold are not quite what the world would instantly associate with a company renowned for franchised gameshow formats, but the drama shows will give Endemol a greater foothold in the Chinese market, with their series being featured on the Asian country’s most popular local video website in Youku Tudou. The deal is noted as being negotiated by Endemol Worldwide Distribution’s ‘director of Asian sales’ Rashmi Bajpai, whilst the purchase came from Trade Lead Investments China, Youku’s ‘copyright services subsidiary’. Described as a ‘period gangster drama’ made for BBC2 in the UK, Peaky Blinders features Sam Neill and Cillian Murphy in a storyline created by Steven Knight, one which has been confirmed for a second season. whilst Black Mirror is a selection of ‘stand-alone dramas’ conceived by Charlie Brooker for Channel 4. Simon Barry creation Continuum, meanwhile, focuses on a group of terrorists who manage to escape from execution in 2077 before travelling back in time 65 years to 2012 (a format which may interfere with Chinese broadcasting policy on time travel stories), with Youku joining Showcase Canada and SYFY (USA & UK) as broadcasters of the show.